India is a country where more than 60% of population earns its living from agriculture. These subsistence farmers and their families rely heavily on the sun for plant growth, to dry husk and manure for fuel, and to drying clothes. In fact, they reside in a tropical country like India that receives 5-7 kWh per squared-meter of solar energy for around 300-330 days in a year! With the advent of the traditional solar cookers, women in rural areas need not spend most of their day collecting firewood or creating manure cakes. Another economic benefit is that solar cooking has a wide customer base in India, since it targets the rural population. The Ministry of New & Renewable Energy (MNRE) also enthusiastically supports the cause of solar cookers and endorses the manufacture and distribution of energy-efficient solar cookers in India. Using the sun instead of fuel to cook is an important innovation for the developing world, where fuel is scarce and fumes from burning can be deadly. 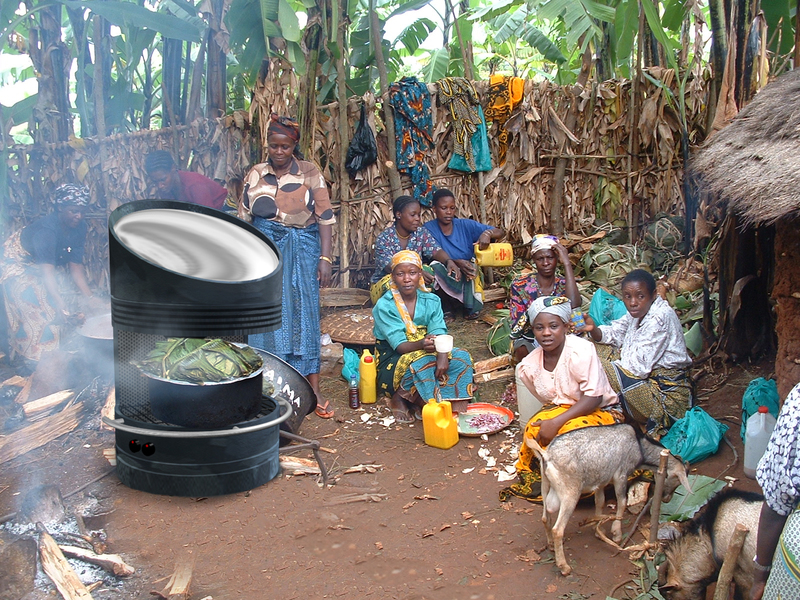 Wilson has invented a Solar Grill brings night-time solar cooking to rural or informal areas in developing countries. 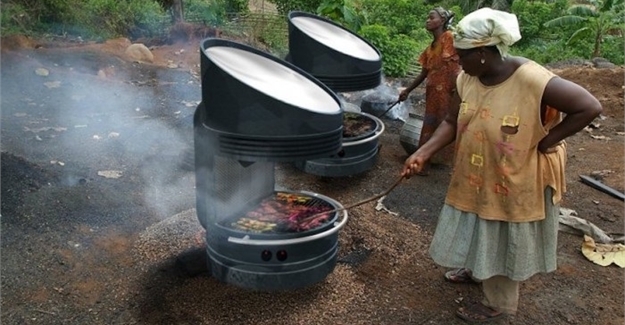 It stores solar energy for cooking at any time of the day. This stove doesn’t just use the sun—it uses the sun to heat up salt until it melts. Existing solar cookers require people (mostly women) to sit and cook in the tropical sun during the hottest part of the day. He had a question - What if they could cook at night with the sun instead of charcoal and wood? "When I came out of Nigeria I got very keen on solar cookers," he says, reports Fastcoexist. 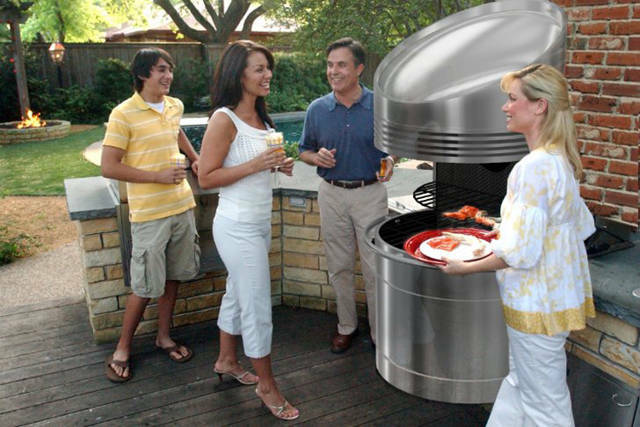 How does Sun Powered Grill work? Wilson’s technology uses a Fresnel lens to harness the sun’s energy. The grill harnesses power from the sun and stores it to provide high-heat cooking (up to 200 degrees celsius) for duration of 25 hours. The technology behind the grill consists of a compact lens used to concentrate sunlight onto a thermal battery made up of molten salts, which retain heat. During the day, the heat is stored and when the sun starts to disappear, the lens is substituted for a cover that keeps the molten salts piping hot for up to six hours. Cooking is as simple as opening the cover and placing food on the grill. Almost 20 years have passed since Wilson started tinkering with a prototype in 1998. After several grants were rejected, Wilson’s design caught the eye of backers at the TATA Trust after two years of testing the product in India. The Indian charity, Wilson says, is committing about $50,000 to back two years of fielding testing of the solar cooker, reports Fastcoexist. More recently, the technology has also inspired a group of MIT students to develop their own prototype and launch a business to manufacture and distribute their grills.